Have your friends or you even pet an animal? When the topic of pets is raised, what animals will be in your mind? Cats, dogs, birds, rabbits, etc. Those kinds of cute animals may appear in your mind immediately. However, have you even though that a wild animal can also be a pet? When you type “pet tiger” on the google search, you will find that there are a number of video showing tiger petting. It is difficult to imagine that there will be a tiger living in your house in Hong Kong. However, it seems that the number of people keeping a tiger as a pet is increasing in some countries such as UK. They may think that tigers are only large and strong cats. There is a video called “Living With Tigers: Family Share Home With Pet Tigers“. In the video, it shows that there is a family petting seven tigers. People who suggest to pet a tiger and bring a tiger to this family is father. His three daughters have not yet shown fears on their pet tigers. They also allow their children to ride on the tigers. One of the daughters even swim and play with the tigers in the swimming pools three a week. However, it seems that not all members of this family accept a pet tiger. The husband of one of the daughters thinks that tiger is very dangerous. He does not want his wife and children get too close with the pet tigers. However, it seems that it cannot let this family stop petting those tigers. This is what a family petting tigers is. However, they forget that they are also dangerous. Petting a tiger is not easy. First, you need to have a large space for a tiger to jump, climb, and swim. If there is not enough space, the tiger will feel like being escaped. It will let the tiger be scared and become dangerous. Second is the food. Tigers eat meat and a lot of it. Antelope, gazelle, water buffalo, deer, fish and really anything else they can get their opportunistic paws on makes up a tiger’s diet. This obviously gets expensive considering they will eat about 10-15 pounds of meat, or 5000-6000 kcal, a day for over 20 years. That makes people spend a lot of money. Third, the interaction between tiger and the owner is a big problem. Although the tiger never hurt people, it is still a wild animals. The way of playing is different with other pets. It is easy to get hurt when they try to play with people. Petting a tiger is not easy. The rise of getting hurt is the by-product of petting a tiger. However, it still cannot stop people to pet those big cats. What do you think about petting those wild animals? Do you think that those animals really have wisdom or not? People always show that animals is intelligent. For example, people always use animals as a character in a story. 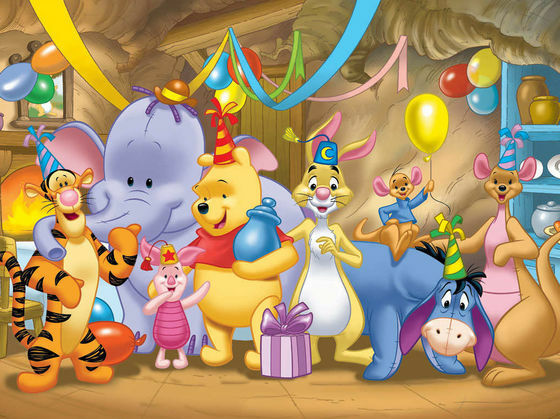 In the Disney cartoon “Winnie the Pool”, you will find that there is a bear, tiger, kangaroos, pig, etc. All of them can talk, can feel, can do anything that a human does. It makes them like a human. However, are the animals really can do those in our world? Are them really intelligent?